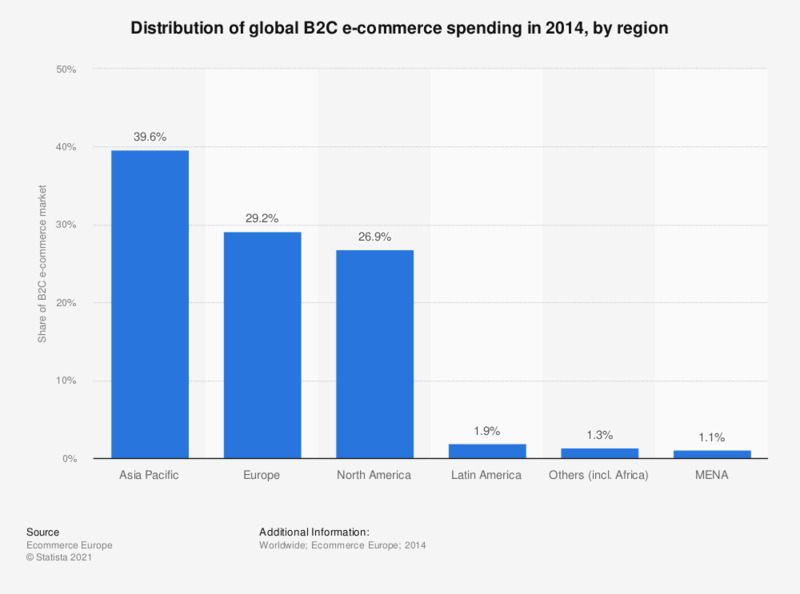 The figure presents the distribution of global B2C e-commerce spending in 2014, by region. That year, Asia Pacific accounted for 39.6 percent of the worldwide B2C e-commerce market turnover. North America was ranked third with a 26.9 percent share.